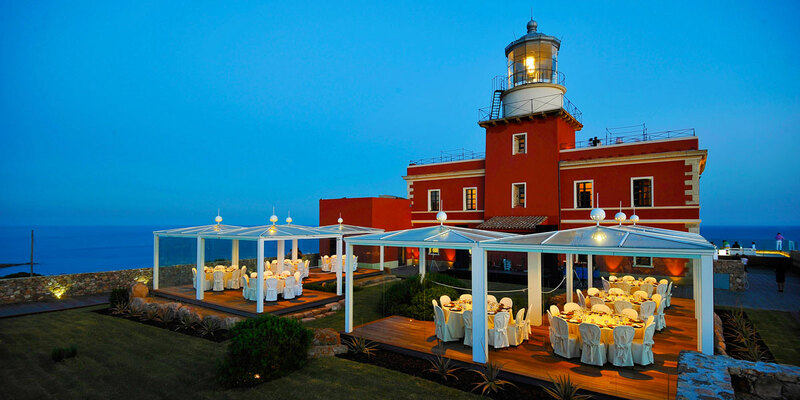 Situated on a cliff overlooking the sea, Faro Capo-Spartivento is a magnificent private lighthouse with dramatic event spaces. 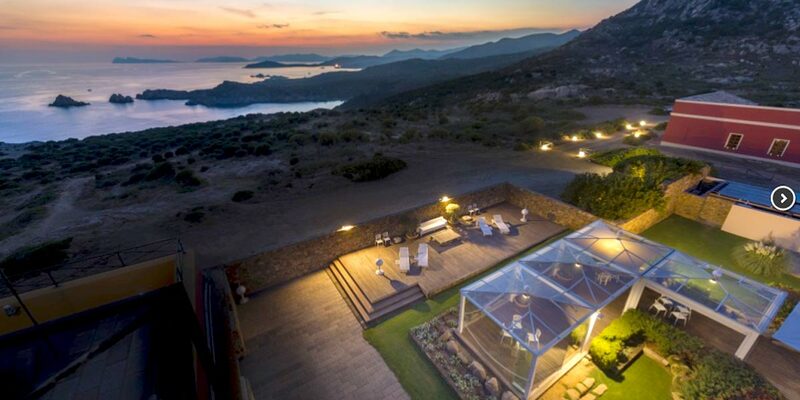 The venue is set within a protected nature reserve and guarantees absolute privacy. 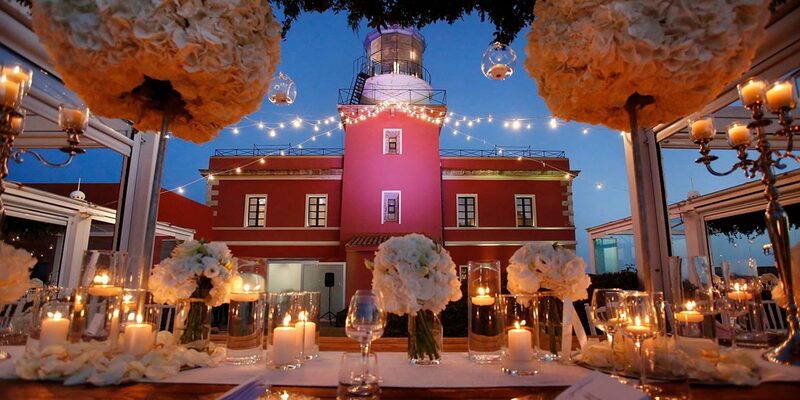 It can be used to host weddings or incentives and can also be hired exclusively. 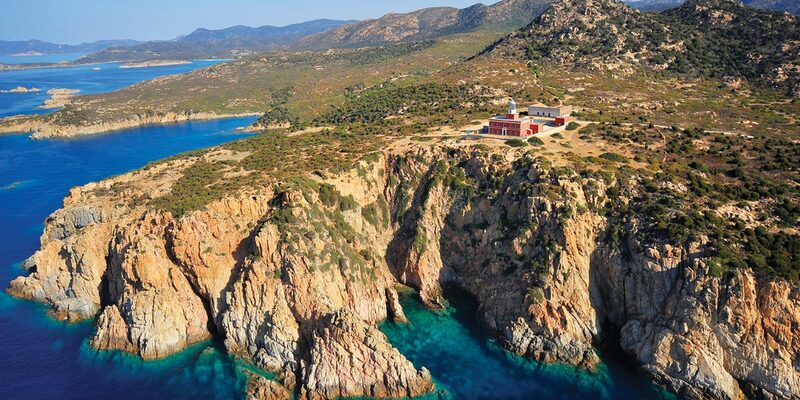 This unique lighthouse on a Sardinian clifftop makes the most of its enviable position and its dramatic surroundings. 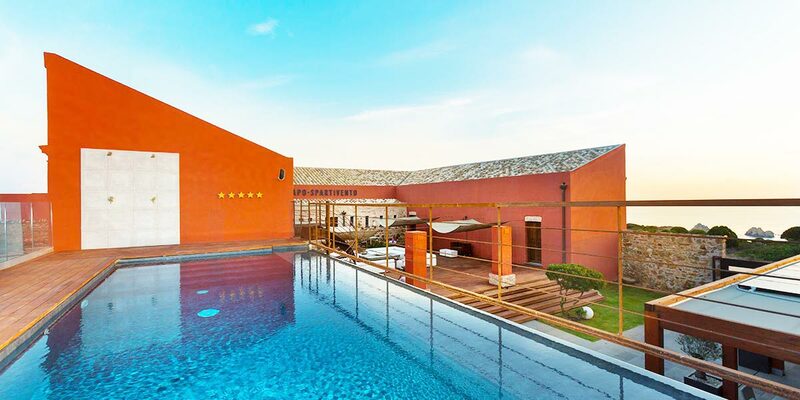 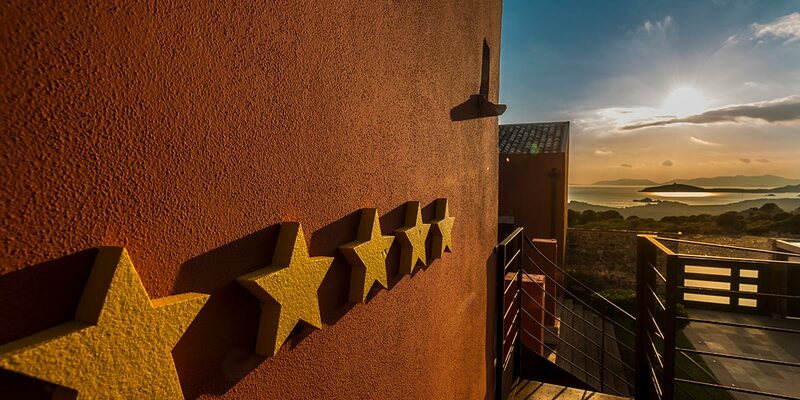 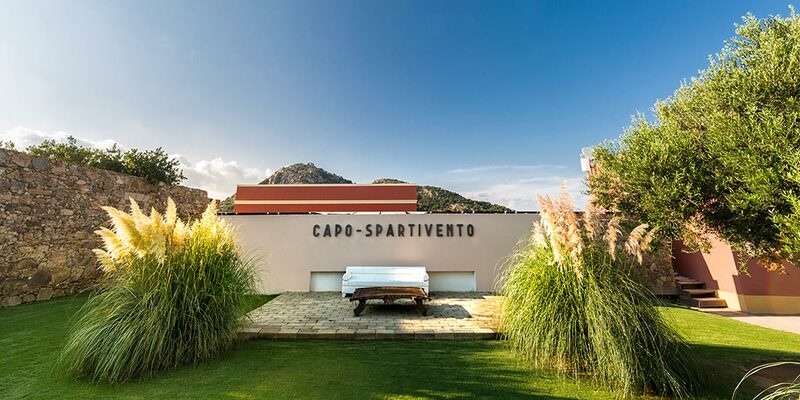 The Faro Capo Spartivento event spaces offer endless different viewpoints for guests to enjoy the spectacular surroundings, including a number of large terraces. 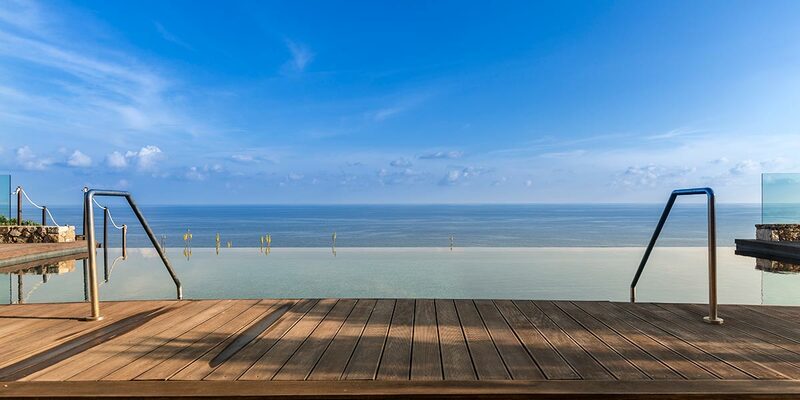 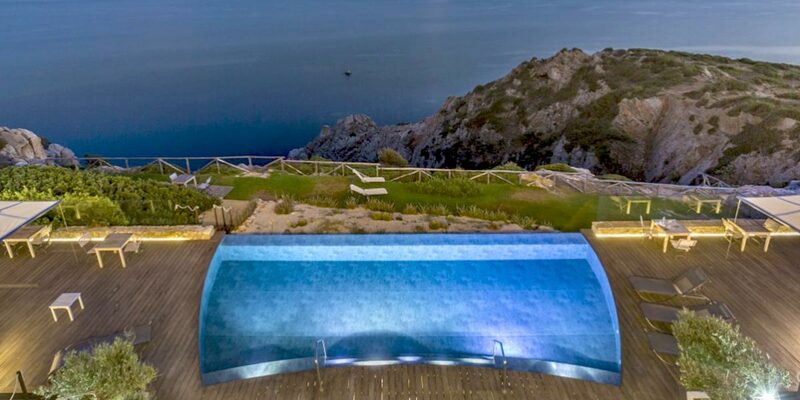 At the front of the building, overlooking the sea, a raised teak deck features an infinity swimming pool and two Jacuzzis. 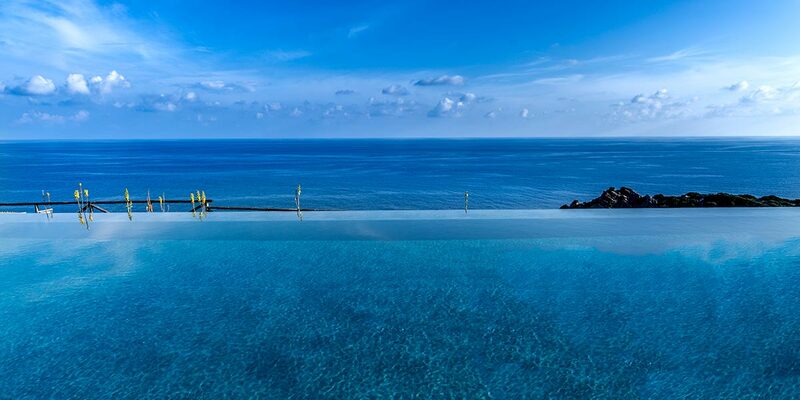 At both sides of the pool, elegant white leather seating areas are the perfect places to enjoy breakfast or a sunset cocktail. 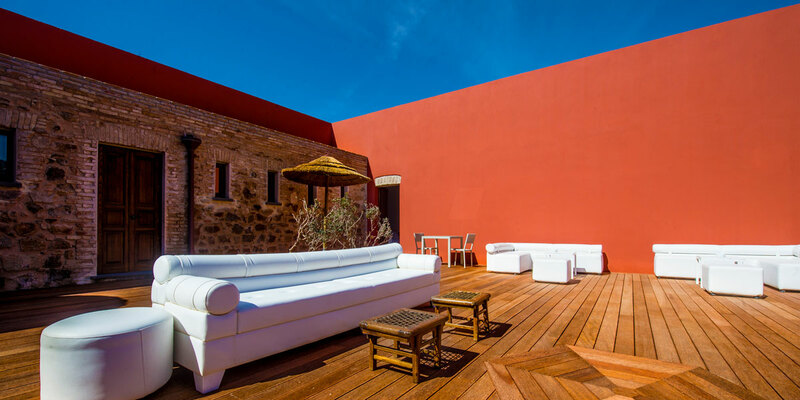 The venue also has a large garden with an inbuilt fireplace and a spacious lounge area, which can be used to host outdoor events and alfresco gala dinners. 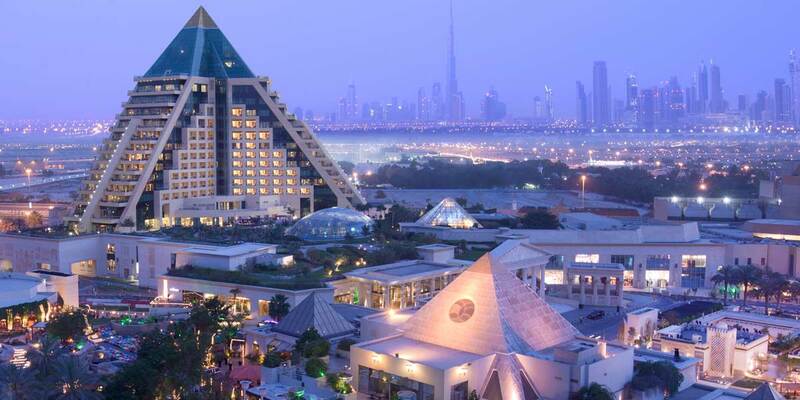 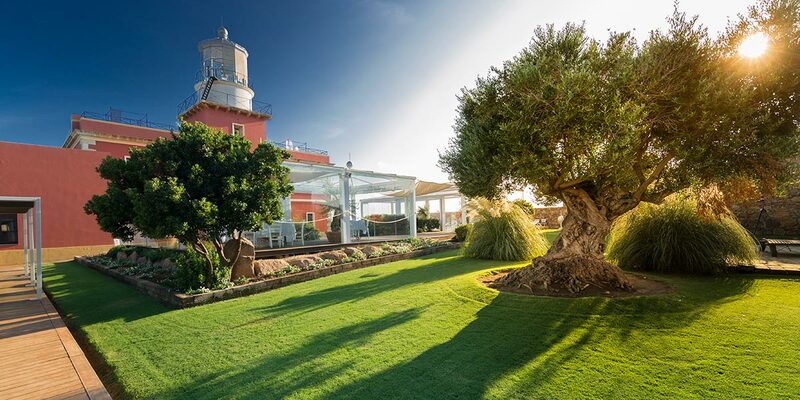 In addition, the garden also features eight crystal gazebos, where guests can dine whilst enjoying the splendid views. 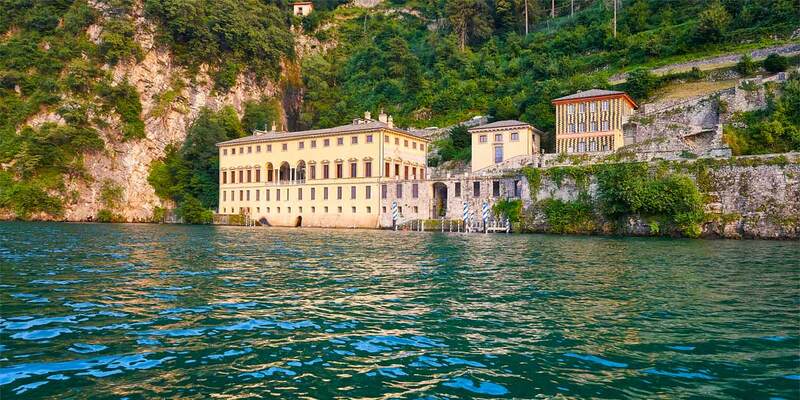 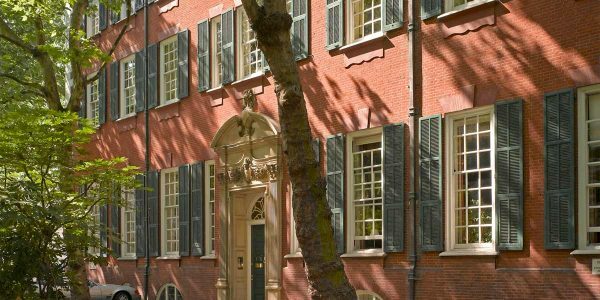 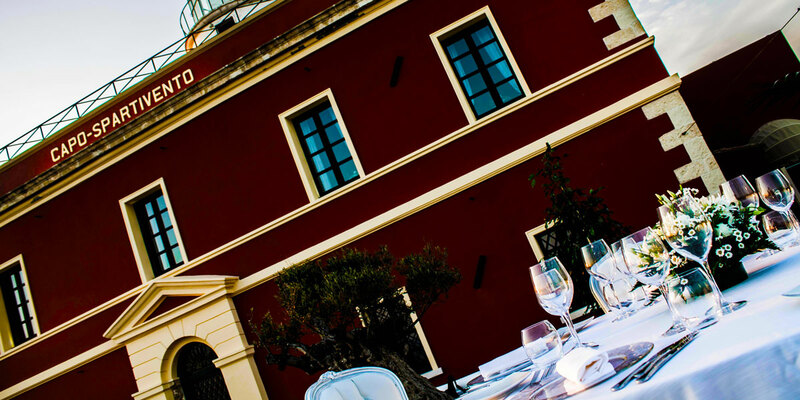 Adjacent to the main building is a private residence 'Residenza Semaforisti.' 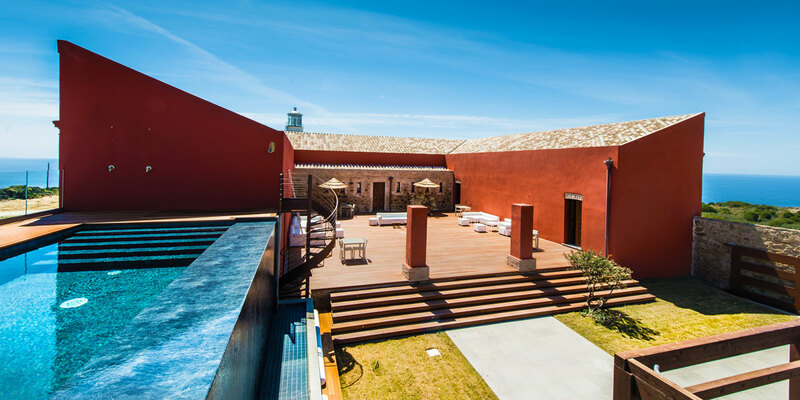 Once the lighthouse keeper’s lodge, the building has a raised courtyard featuring a large central fireplace and a beautiful infinity swimming pool. 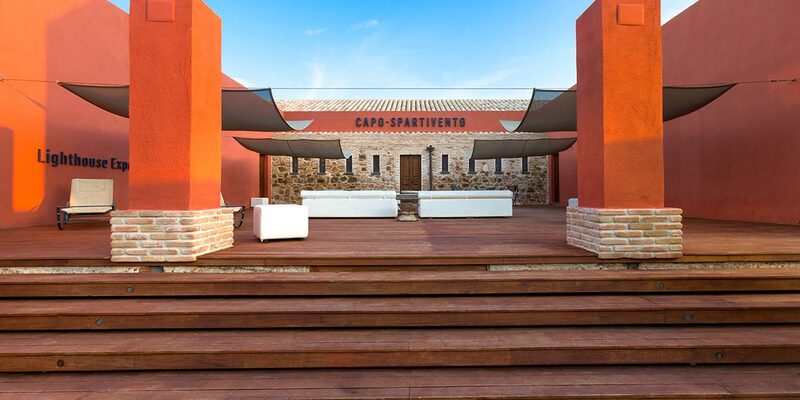 There is also a large bar area, a wood oven and a large wine cellar, which are perfect for events. 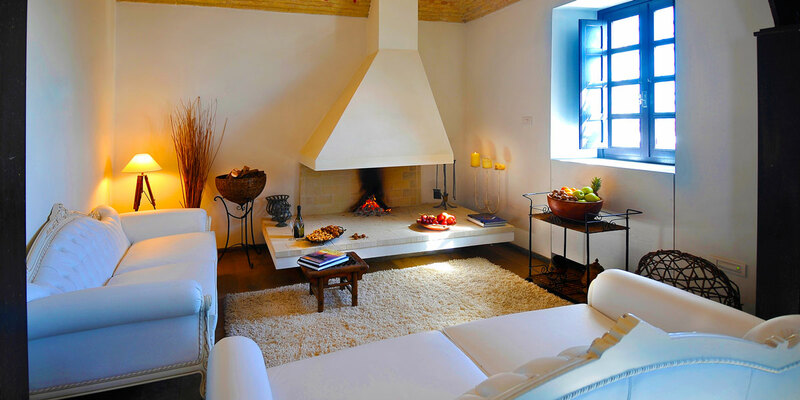 The Residenza’s four suites feature their own lounge areas as well as access to the main deck. 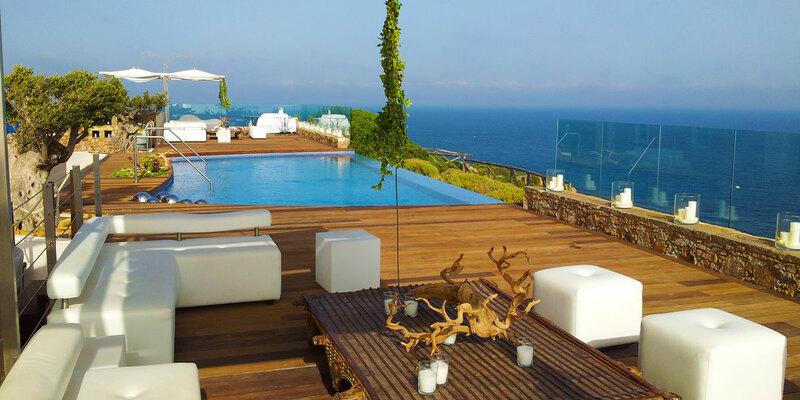 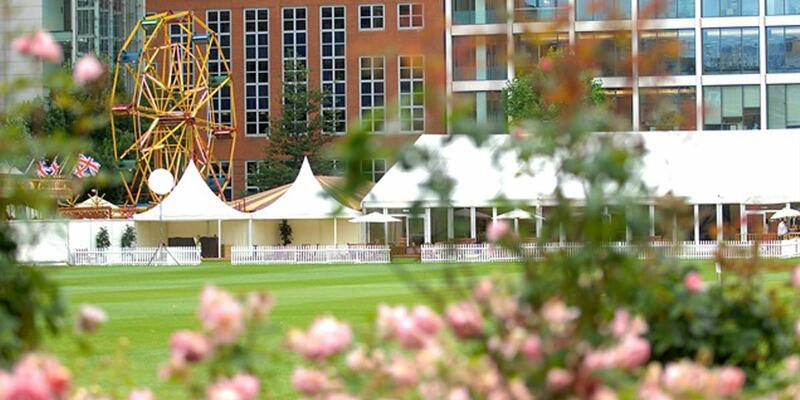 The venue can be hired exclusively and comes with its own chef, waiters and complimentary transfers. 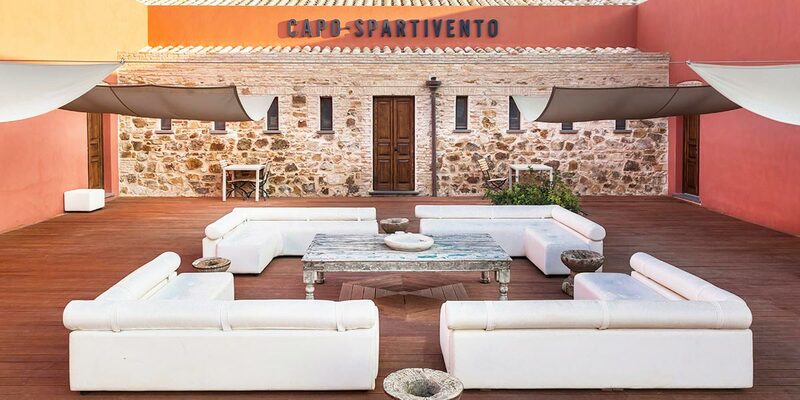 During the day the Faro Capo Spartivento event spaces are further enhanced by their natural surroundings. 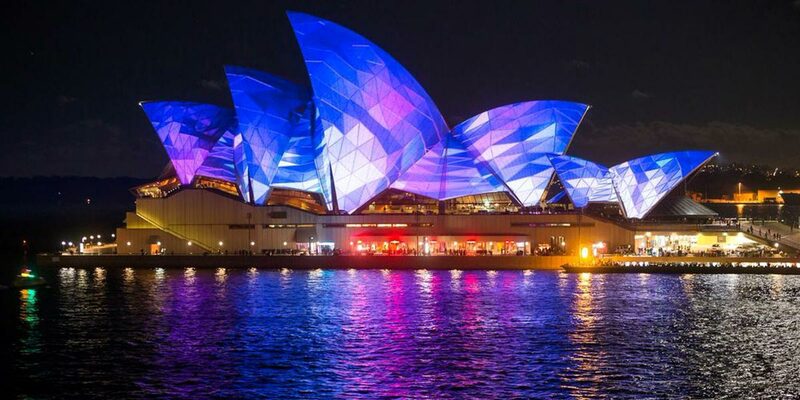 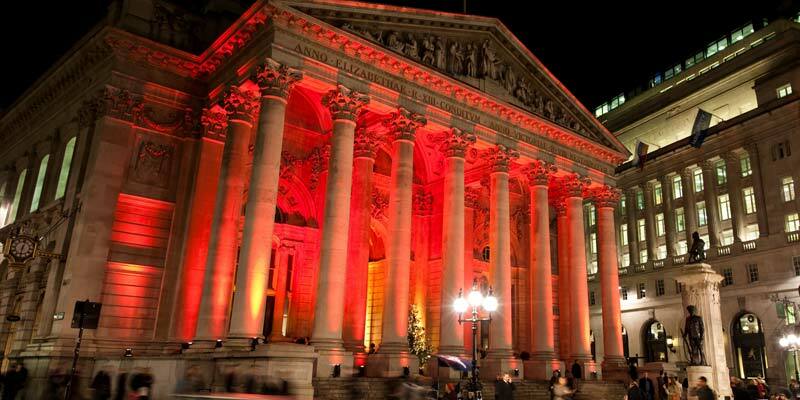 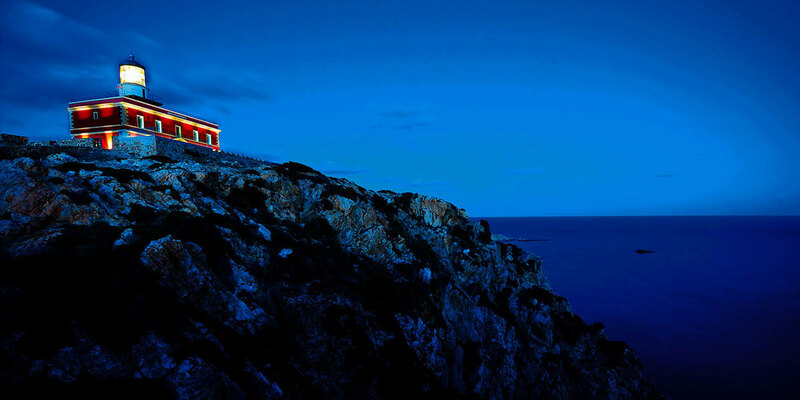 At night the Lighthouse shines in all its beauty, as a range of artful lights illuminate the building. 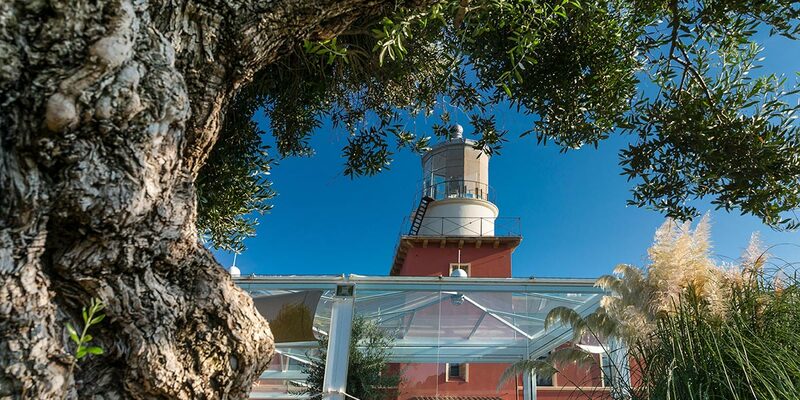 The charm of this unique Mediterranean lighthouse has been preserved during its recent 8-year renovation. 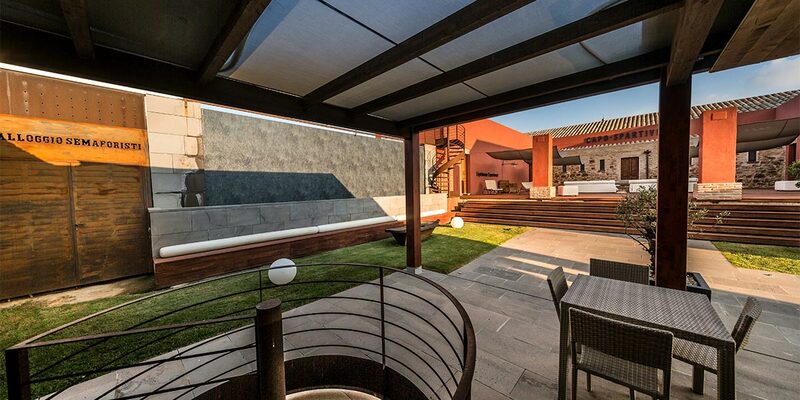 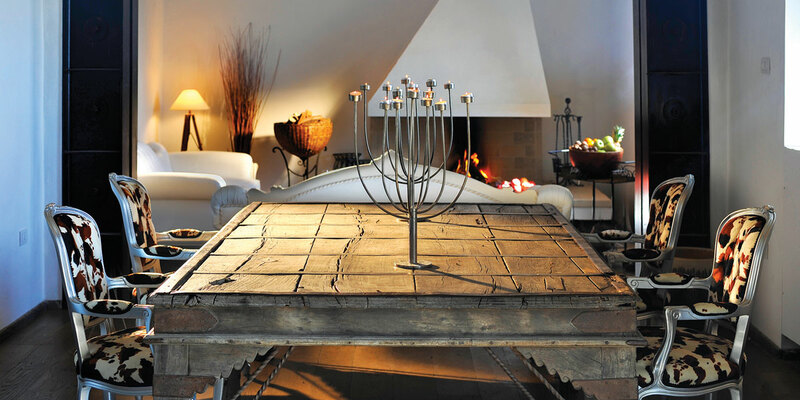 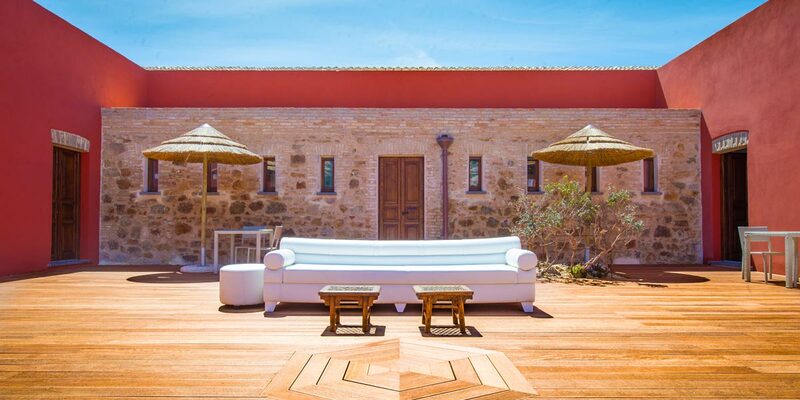 The carefully selected materials and furnishings make it a fine example of the Mediterranean minimalist style. 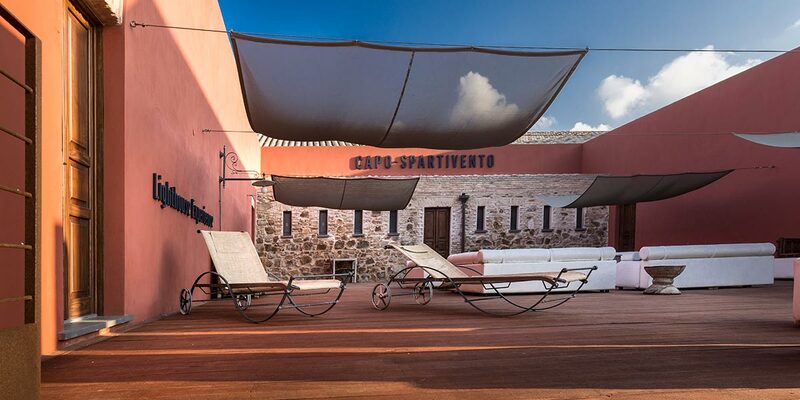 Stone, granite, basalt, wrought-iron, wood and sea water play important roles both inside and outside Faro Capo-Spartivento. 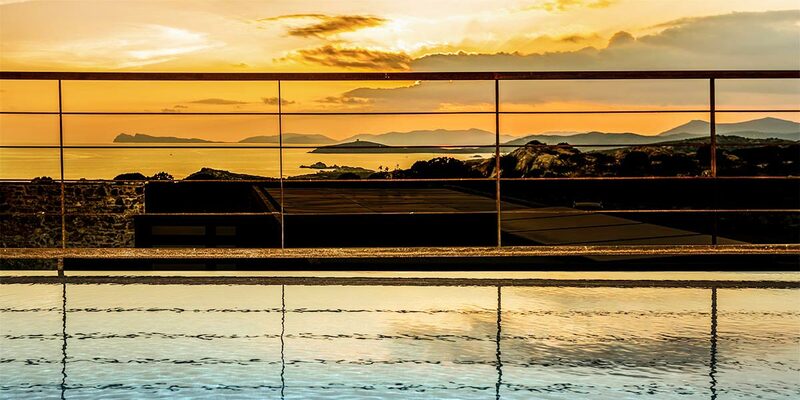 In a nod to the power of nature, both hot water and electricity are produced using solar panels. 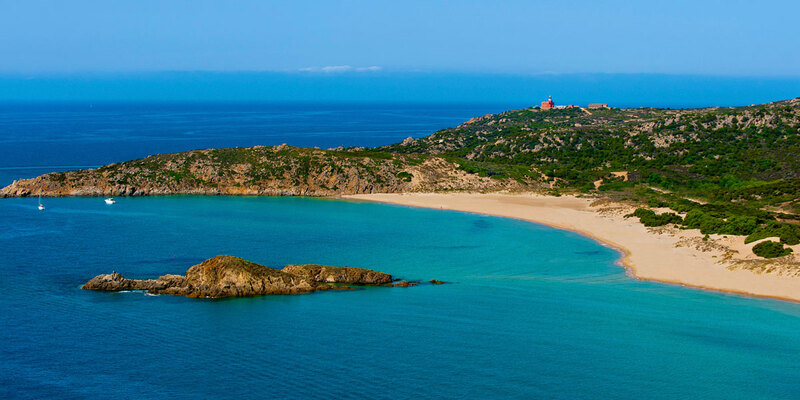 Faro Capo-Spartivento is an architecture of light that after 160 years is still shining brightly on the Sardinian coast. 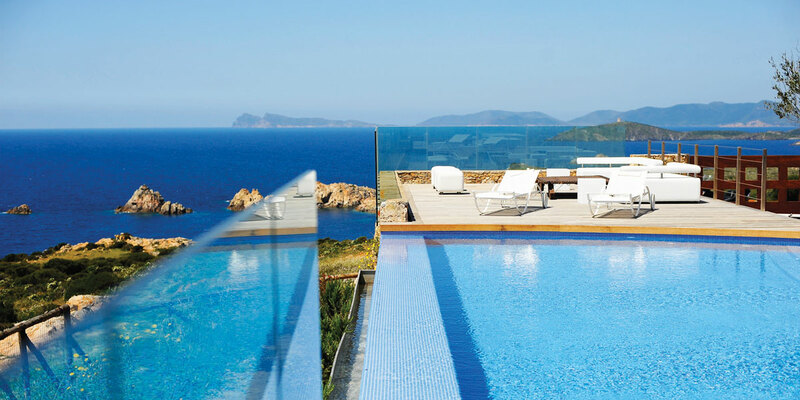 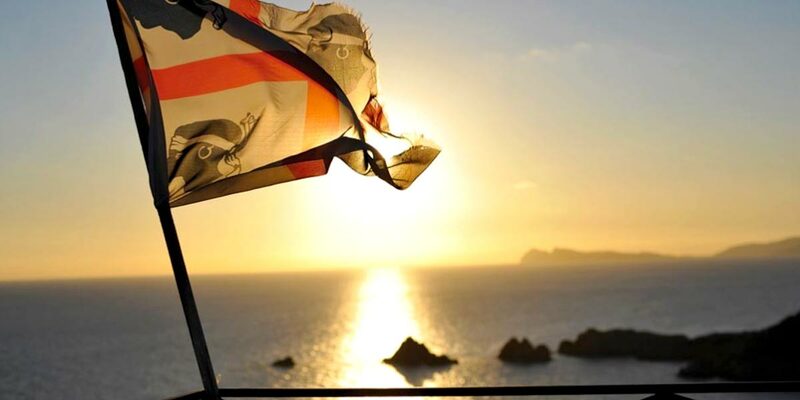 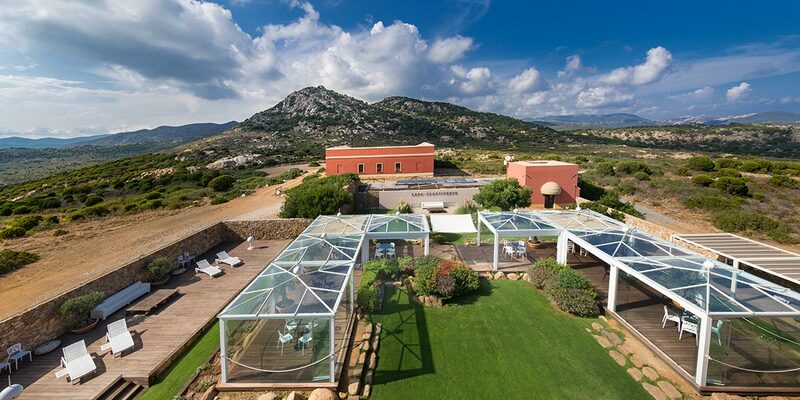 It is one of the most original and memorable venues on the island of Sardinia. 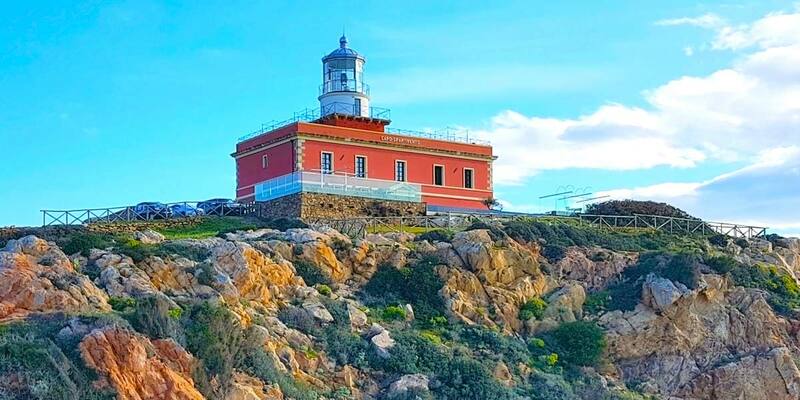 Built-in 1854 by the Italian Navy, the Lighthouse of Capo Spartivento was one of twenty lighthouses commissioned by Victor Emmanuel II of Savoy, whose wrought-iron initials still feature above the entrance door. 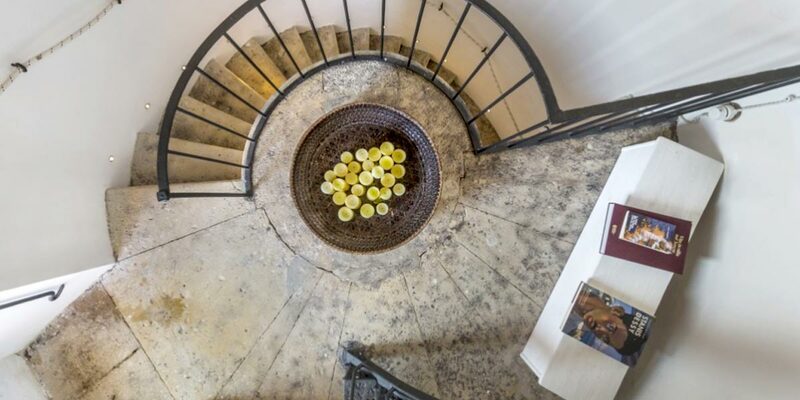 Once a target of American aerial machine guns during World War II, it still bears the bullet holes today. 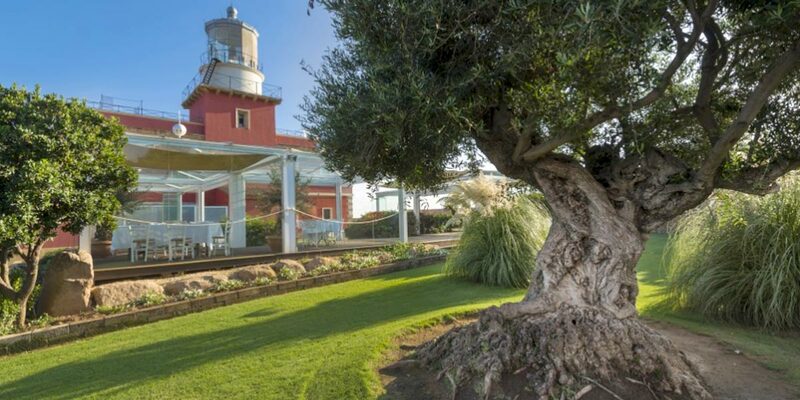 After the war, the structure housed the lighthouse keepers until the 1980s when the light signal was automated and their work was no longer required. 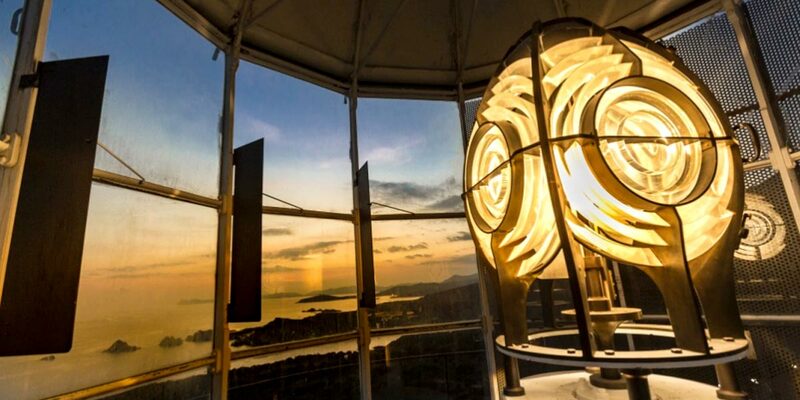 The lighthouse then faded into oblivion for over 30 years, until 2006, when its new life began. 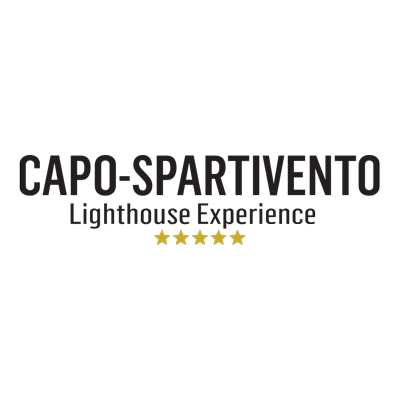 Today, with its guiding light still shining, Faro Capo-Spartivento is the first and only lighthouse in Italy that has been converted into a guest house: a project prized by the Italian Navy as a fine example of military architectural restoration.